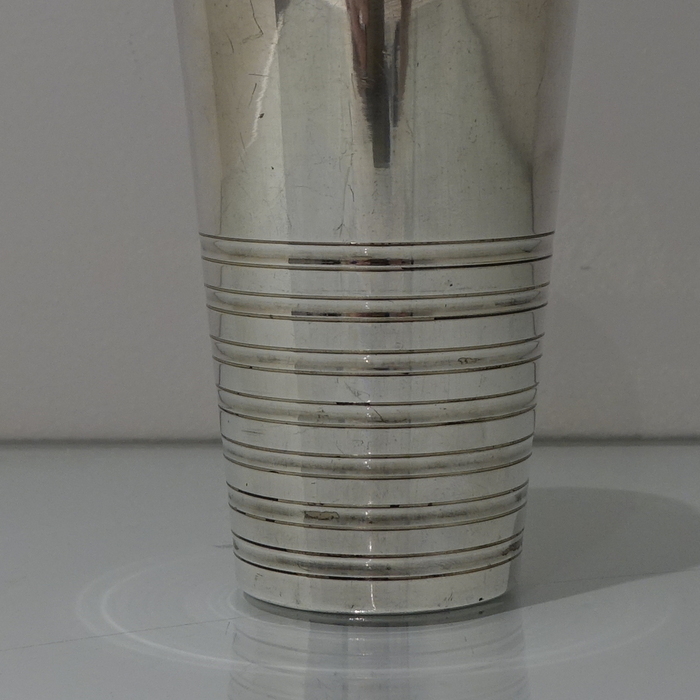 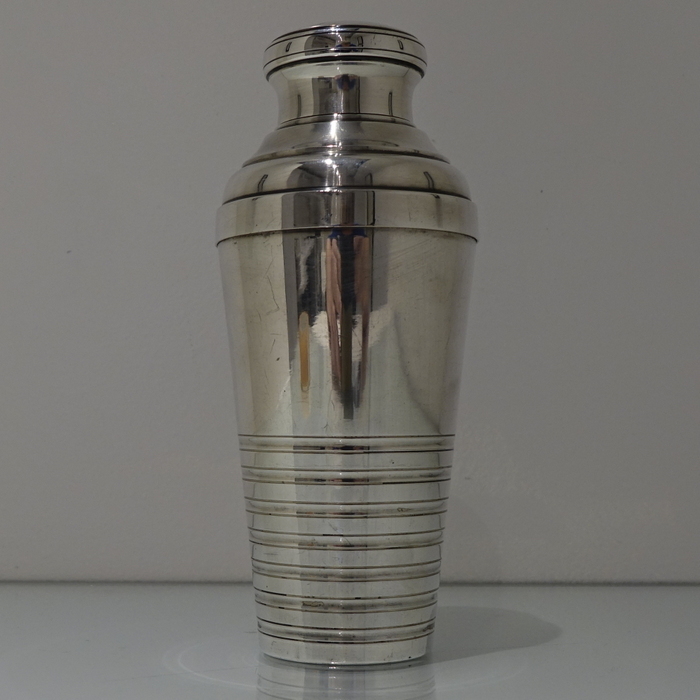 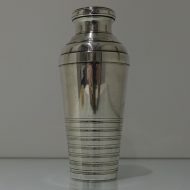 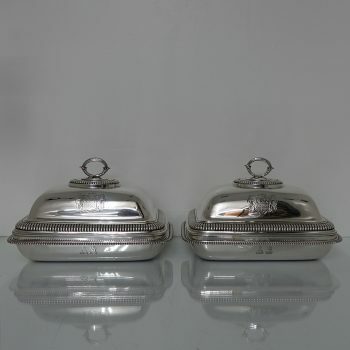 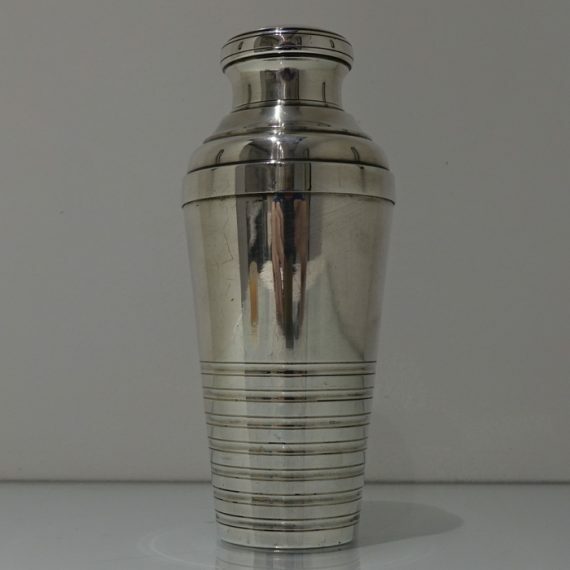 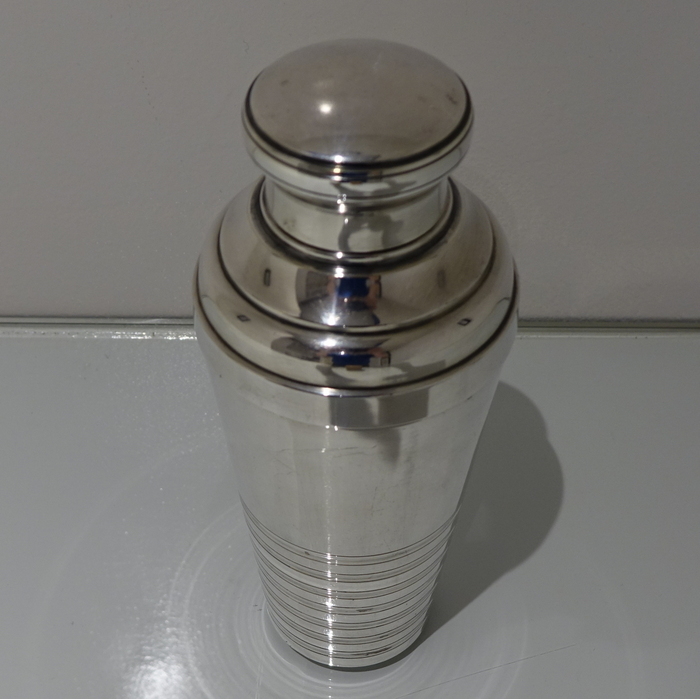 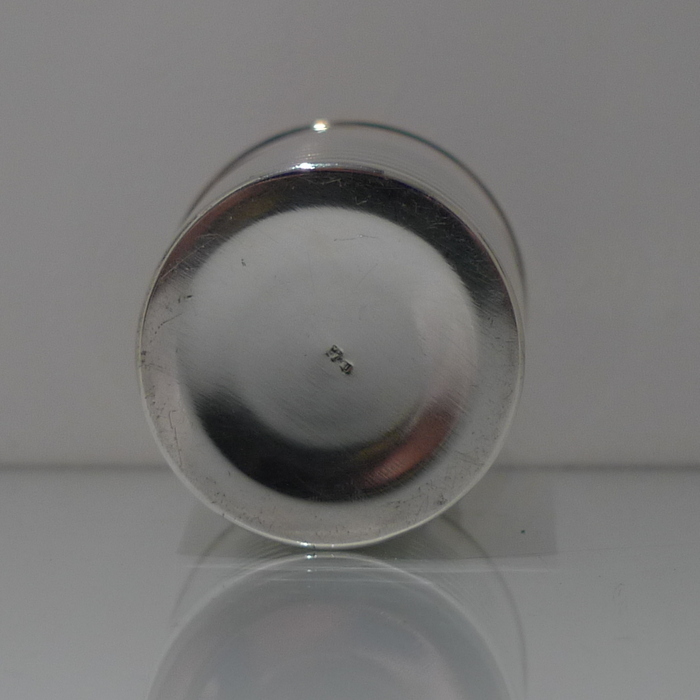 An elegant and extremely stylish art deco cylindrical tapering design cocktail shaker. 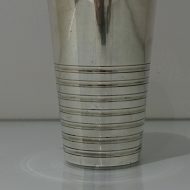 An elegant and extremely stylish art deco cylindrical tapering design cocktail shaker with decorative bands of reed engraving for lowlights. 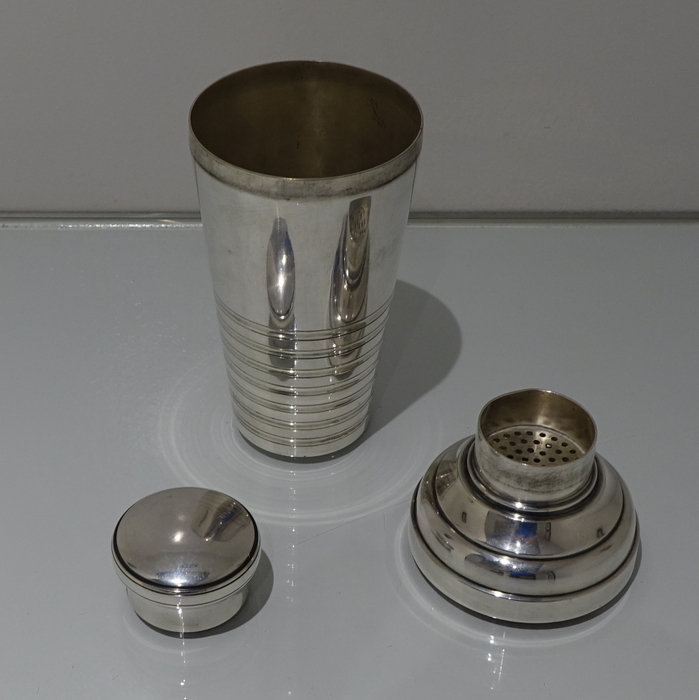 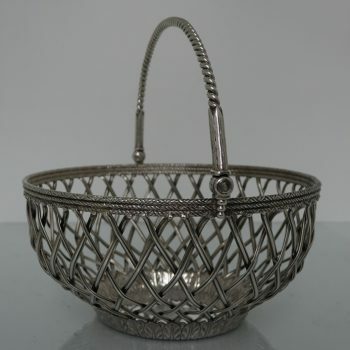 The shaker is made in three detachable sections.